I would be remiss if I didn’t mention these two bits of news. One of them is actually old news, but I never got around to posting about it. What can I say? Life’s busy. 1. Roland Emmerich’s Anonymous opens this weekend. 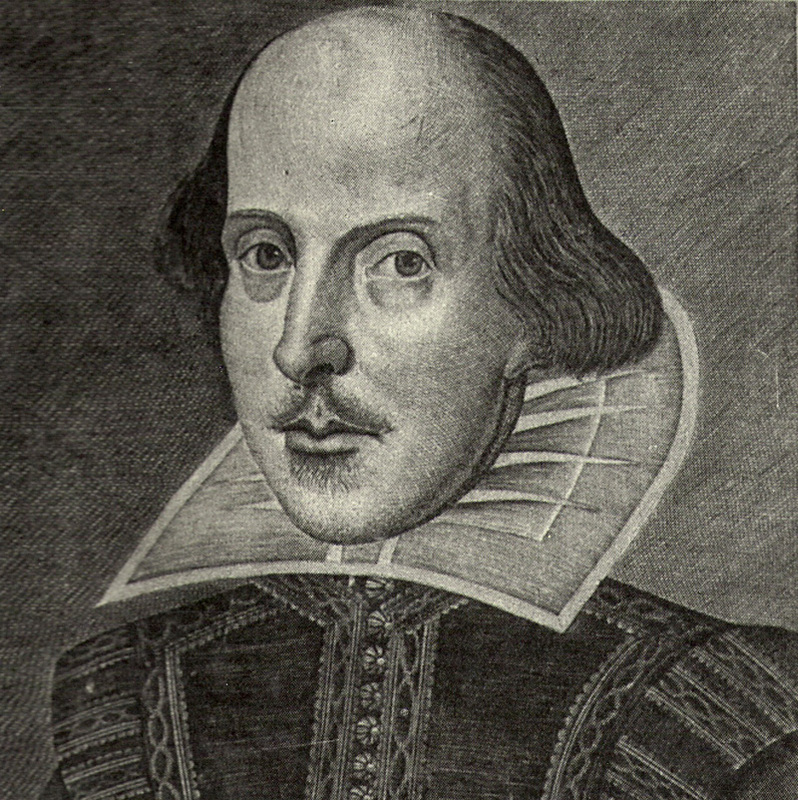 It’s based upon the Oxfordian theory of Shakespeare authorship, which suggests that Edward de Vere, 17th Earl of Oxford, actually wrote the plays of William Shakespeare. I have to admit to having been a fan of this particular theory, as it has some really good points. However, this piece in last week’s NYT Magazine has shown me the error of my ways. I don’t entirely agree with his take on the movie itself; I don’t think that it’s going to completely change the way people think about who Shakespeare was. I do think it looks a bit ridiculous, but it’s got a good cast, and I support anything that is a starring vehicle for Rhys Ifans, so I hope it does well. I’m sure I’ll get around to seeing it eventually. Anyway, here’s the trailer. 2. Apparently, Joss Whedon has completed a “secret movie project”: Much Ado About Nothing. There’s very little information about it; mostly just what appears on the website, there. Now, despite being a fan of Shakespeare, Joss Whedon, and (most importantly) Nathan Fillion, I am a good deal skeptical about this. First of all, I think that 1993’s Much Ado about Nothing (the Branagh version) is a movie that belongs on the “Do Not Remake” list. The problem with that, of course, is that it’s a film adaptation of a play by Shakespeare, and as such is performed over and over and over again. For me, though, having a film version is a little more lasting, and I just don’t believe that the performances (Branagh and Thompson’s in particular) can be improved upon. I do hope (and assume, although maybe not) that Fillion is playing Benedick, which I think is a pretty good fit, but beyond that, most of these people are either semi-minor players in the Whedonverse or complete unknowns, and I’m just not sure how it’ll all play out. One can probably infer from the picture on the website that this version will have some sort of modernized setting, and I personally wonder if they will be using the Shakespearean text. Something about the vague “Based upon a play” tagline leaves me considering the extent to which this is really going to be Much Ado. Basically, there are lots of questions. I will certainly be keeping an eye out for more news of this, so stay tuned. Update: Here’s a more detailed story from EW.com. Fillion is not Benedick (boo! ), it is definitely “modern,” based on the pictures. Enh? Update 2: Clearly, I should have done more research. It wasn’t up when I checked yesterday, but now if you click on the movie page, you will be redirected to the press release, which gives a complete cast list. Which is exceedingly disappointing. I fail to understand why you would take what is easily the most recognizable name you have and give them the lousiest role. Fillion probably wanted to play the “clown” part, but Dogberry is, I think, the worst clown in the entire Shakespeare repertoire. Sorry, Whedon. This fan is not on board. That’s all from the Shakespearean News Desk for now. I’m still waiting for Taymor’s The Tempest to get a DVD release date. And for someone to make my blockbuster, star-studded adaptation of Macbeth. I’m also pondering the fact that Branagh ought to take his breakout star from Thor (that’d be Tom Hiddleston) and get back to his roots. Hmmm. Which play is due for a film version … ? I know many of you are scratching your heads and thinking, “Do you mean to tell me there are people who haven’t seen A Fish Called Wanda?,” and I regret to inform you that there probably are. Surely their lives are full of sadness, and it is my hope that this post will bring about a world-wide rush to see this movie, and with all that happiness floating around, could world peace really be that far behind? They’ll award me the Nobel Prize. Seriously. Such is the power of this ridiculously funny movie. Don’t believe me? Ask the Academy, since they awarded a very, very rare acting Oscar for Kevin Kline’s brilliant comedic performance. Yep, it’s got Kevin Kline in it. And as if that weren’t enough, he is joined by Pythoners John Cleese and Michael Palin (also brilliant, IMO), as well as Jamie Lee Curtis. So of course it makes sense that this movie is comedy gold. Wanda (Curtis) and her lover Otto (Kline) are involved in a very elaborate heist. Wanda is “dating” another individual, George (Tom Georgeson), having convinced him that Otto is actually her brother. George, Wanda, Otto, and Ken (Palin), who is also in love with Wanda, steal a diamond collection. The plan is for Wanda and Otto to double-cross George, allow him to take the fall, and make off with the diamonds. However, George doesn’t entirely trust his accomplices, and moves the diamonds to a different hiding place. In order to get information out of George, Wanda proceeds to seduce his barrister, Archie (Cleese), but ends up falling in love with him. Naturally, there are hijinks galore. There are really no discernable flaws to this movie. The plot, though somewhat convoluted, isn’t really that hard to follow. The dialogue is fast and funny. The acting … well, you saw that cast. What could have ended up as something over-the-top in the hands of lesser talent is absolutely perfect under the capable auspices of Cleese, Curtis, Palin, and above all, Kline. Otto is a character who really ought not to be funny. He’s boorish, not very bright (but don’t call him stupid! ), a wannabe intellectual; plus he’s got a nasty temper and a bit of a sadistic streak. But because he’s Kevin Kline, he. Is. Hilarious. And so is everyone else. Because this movie is seriously, seriously funny. Seriously. You know, I’m trying to write a thoughtful piece that provides you, my dear readers, with solid reasons why you must see this movie. And I’m finding that difficult to do. It’s A Fish Called Wanda. To say that it’s awesome and you have to see it seems completely redundant. It’s like saying “Oh man, you gotta try this air stuff! You’ll feel like a million bucks!” So, let me just put it this way: Do you like movies? Do you like to laugh, and be happy? Do you have a pulse which indicates that you are, in fact, a living, breathing person with a brain? If you answered yes to any of these questions, then you need to see this movie. I’m not sure how much more plainly I can put it. A last word of caution, though… I know that, after you watch this movie, you will think it is so fabulous that when you learn that there was a “sequel” (1997’s Fierce Creatures) with all of the main actors (different characters, story, etc.) you will be overjoyed and want to rush right out and see that one too, since obviously such brilliance surely cannot fail to please a second time! You should just re-watch A Fish Called Wanda instead. I promise you won’t regret it. Seven years ago this morning, I woke up struggling with the question of whether or not I wanted to start a relationship with a very nice young man with whom I’d been friends for a couple of months. We hung out, watched movies, had dinner, stuff like that, but we weren’t “dating”. Six years ago today I married that young man. And so, this is a very special Musical Moment in honor of that event. The night before that first morning we had watched a strange little film together: The Triplets of Belleville. It wasn’t the first movie we watched together, and obviously it was not the last, but it will always be important to me. If you haven’t seen it, I do recommend it, and here’s a preview. Happy anniversary, sweetie. I tried really hard to pick a song from Transformers: The Movie*, but it just wasn’t working for me. Maybe next year? *It’s his favorite, and possibly the very first movie we saw together. I might have mentioned that I do think the comic book/superhero movie has, at this point, jumped the shark. Having said that, however, ZOMGSQUEEAVENGERSTRAILER. Seriously, this is all the stuff we love. Which might mostly be RDJ as Tony Stark and Tom Hiddleston as Loki, but I will take a little bit of Mark Ruffalo and Chris Hemsworth thrown in for good measure, noooo problem. Next summer’s biggest blockbuster? Oh, I think so. Now, I know many of you are not going to like this very much, but it has to be said: Top Gun is not a good movie. It’s got some spiffy airplane scenes, and a totally rockin’ eighties soundtrack, sure. It also has next to no plot, mostly really lousy acting, and zero chemistry between its leads (I’m talking Cruise and McGillis, here. We won’t be getting into the overtones today). I know, I know, it’s a modern “classic” and all that. I think that is because it really did create a lot of cliches (my husband was surprised by how many lines he already knew, even though he’d never seen the movie before), and because it really embodies the spirit of the country during that decade. It’s all big and brash and loud and shallow and full of swagger. I do actually think that Tom Cruise can deliver fine performances on occasion, but even the really good actors (ok, I’m mostly just referring to Val Kilmer) don’t seem to have very much to do here. Ultimately, I think what bothers me most about it is that it seriously has no plot. Again, it follows all of the tropes: talented but undisciplined lead gets his big shot, gets a training montage, gets taken down a peg, ends up a winner! But that’s not really a plot, people. That’s a theme that should be built into an actual story, but in the case of Top Gun, I think they forgot something. Sorry. You can go ahead and hate me now. Another thing the eighties seem to have done a lot of is rom-coms. Again, the more of something you have, the more the quality overall is likely to suffer. A lot of the time, you just end up with a movie that’s really weird. See: Chances Are. Alex Finch (Robert Downey, Jr.) doesn’t know it, but he’s actually carrying around the departed soul of Louie Jeffries (Christopher McDonald), a young up-and-comer who is on top of the world when he gets hit by a car. He gets “reborn” immediately, but lies dormant for the next 23 years while Alex grows up, graduates from Yale, and heads to Washington, D.C. with dreams of being a journalist. Through an extremely coincidental set of circumstances, he finds himself on Louie’s doorstep, taken in by Louie’s best friend Phil (Ryan O’Neal), his widow Corinne (Cybill Shepherd), and his daughter, Miranda (Mary Stuart Masterson), with whom Alex had a brief flirtation back at Yale only a day or two prior. Being “home” reawakens Louie’s spirit, and a comedy of errors ensues. Miranda is interested in Alex, but as soon as Louie takes over, he rebuffs his “daughter’s” advances and tries to convince his still-grieving widow that he’s returned to her. At the same time, Phil has been in love with Corinne this whole time, essentially helping her to raise Miranda, but has never revealed his feelings. Obviously, the mess has to be sorted out so that everyone can live happily ever after, or something. Oy. Did you get all that? Seriously, this movie, while reasonably funny and charming, is mostly just strange, and sometimes a little bit squicky, given that while Downey and Shepherd have pretty good chemistry, there’s enough of an age difference to make their “romance” plenty awkward. Despite that, all of the actors acquit themselves admirably, and Downey gives us a solid performance, relying on his considerable charm and charisma to make Alex/Louie a sympathetic character. Additionally, the comedic aspects of the movie allow him to showcase his physical abilities, which I think often get overlooked. Other than that, the eighties fashions are awesomely retro, and even though you know how the story’s got to end, it’s interesting to watch them get there. I would definitely recommend this if you’re a fan of Robert Downey, Jr. and are interested in his earlier work, but other than that, there are probably better romantic comedies (even from the 80s) out there. So, what did you watch this weekend? Any plans coming up? We’re hoping/planning to actually get out and see Moneyball soon, and have the next AFI film to look forward to as well. Wish us luck!